Hi Folks. 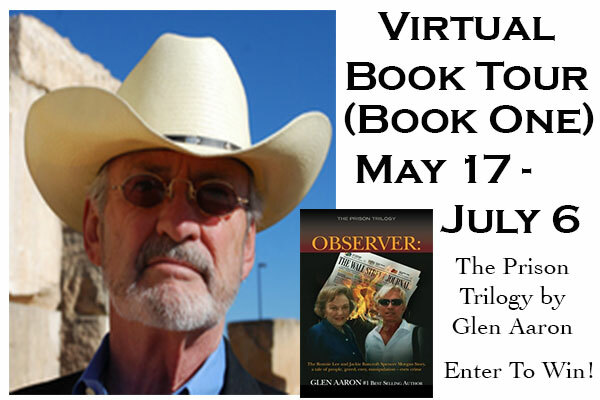 Today I am chatting with Glen Aaron, retired lawyer, international business & banking consultant and author of several fiction & non-fiction books. Including The Terrorist, Broken Justice and his latest non-fiction release of The Prison Trilogy: The Ronnie Lee And Jackie Bancroft Spencer Morgan Story. Glen. Thanks for being my guest today. Please share with our readers about you. I am a retired lawyer and international business and banking consultant. In the twilight of my 40 year practice, I came to represent an heiress of The Wall Street Journal, who later decided to marry another client of mine, an interior decorator. The name of the heiress was Jackie Bancroft Spencer Morgan and her new husband was Ronnie Lee Morgan. Jackie was 72 years old. Ron was 50. I had previously placed Ron in bankruptcy in that he owed about $1.5 million and couldn’t pay it. Jackie wanted to give him ample money outside of the bankruptcy. So I set up a blind trust and over the course of a half dozen years Jackie poured $40 million worth of cash and assets into the trust. When she mysteriously died, the Bancroft’s sued me and every member of my legal staff. Ultimately, the result was a two-year prison sentence for me in federal prison. The reason was quite technical. The Prison Trilogy starts with this book, The Ronnie Lee And Jackie Bancroft Spencer Morgan story, a tale of people, greed, envy, manipulation – even crime. I actually look forward to getting out of bed each morning about 5 o’clock to start writing either on a book that I’m working on or my column for the local newspaper that reviews the works of West Texas authors. I am stimulated by the desire to write and to read the creative works of others. I would like to hang out for a day with Barney Frank and ask him questions about events that he has written in his new book. My reason for wanting to do so is to gain some understanding of how a person finds the strength to continue fighting in favor of unpopular causes, one after another. Well, I have already mentioned how the book begins, but to understand Jackie one must understand the history of the ownership of The Wall Street Journal. Her husband, Hugh Bancroft, Jr, who was owner of the Journal, along with a sibling, died after only five years of marriage to Jackie, leaving her at their New Mexico ranch with three small children, but also as one of the wealthiest women in America, which she really didn’t realize for the first few years. In part, the book is her story, but it is also the story of Ron Morgan and a tale of greed and manipulation and what it can lead to. I begin writing at 5 o’clock in the morning and write until noon. By this time, either the body or the muse has left me and I go on to other things. I do this six days a week. In nonfiction, as The Prison Trilogy is, I look at all of my research, cross index it, and then begin to develop an outline of chapters. In nonfiction, I allow myself to go with the flow of the plot, keeping in mind basic writing principles of fiction. Of course, this creates a lot of rewrites. I graduated from Baylor University with an undergraduate degree of English literature and a dual degree out of the business school in macro economics. Even though I had business knowledge, much of which was handed down to me by my father, I was a bit of a romantic and loved literature. I thought that I would like to write. However, after graduation from law school at the University of Texas and entering law practice and business, there was no time for 40 years to write anything but legalese. As I entered federal prison and ended up with Colonel George Trofimoff as my cell-mate, I saw this as an opportunity to write. That story became the second book in The Prison Trilogy, which is about Colonel George Trofimoff. 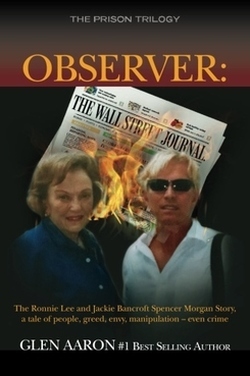 As you’ve seen from what I’ve said about the Ronnie Lee and Jackie Bancroft Story, there are actually two main characters in the book, Jackie and Ron, as I viewed them through my eyes as an Observer. Interestingly, for someone who had the magnitude of wealth that Jackie had, she lived rather modestly but did immodest things, such as building what she called her “little Pearl,” the $23 million theater for the performing arts, nestled in the mountains of Ruidoso, New Mexico. She paid cash. Ronnie Lee Morgan, on the other hand, personifies just about every character defect you can think of. Of course, I represented both of them. Lawyers don’t generally sit in judgment of their clients. If they did, they would have no clients. However, this book takes liberty from that principal by simply telling the story. I’m currently working on what I believe will be called The Race To Destroy Life On Earth. The question is, which will win the race of destruction: nuclear proliferation or eco-destruction? I do not think so. I can’t paint. I can’t play a musical instrument. I can speak publicly and write. In fiction, I have always been intrigued by the ability of John Grisham. In nonfiction, I look for those extraordinary authors who do credible research and take it to the level of telling an interesting story. Sit with my wife in the evening, have a glass of wine, interesting conversation, and pet my dogs. Well, as I mentioned I’m doing research on nuclear proliferation and eco-destruction. Surprisingly, I have for years done research on the biblical tenants of the New Testament. I have always thought it would be interesting if you took the English common law principle of proof, “by a preponderance of evidence” and applied it to the writing and teachings of the New Testament. I don’t know whether I will ever finish that are not. Either at GlenAaron.com or prisonobserver.com or Amazon.com. Through the course of four years, Ron bought several million – dollar Puerto Vallarta properties, some for rental, some with an eye toward resale; all in the name of the trust I had set up for him. This was causing a problem. When Ron initially explained how he wanted the trust to work, or, at least, how he envisioned the goal, it was to be an income – generating entity protected from domestic creditors, the IRS, and Jackie’s children. Therefore, I envisioned never conducting business in the United States. I had never filed for a tax identification number, nor had the trust filed an income tax return. However, throughout the first few years of the trust, Ron imported large amounts of artworks and furnishings from other countries and warehoused them in El Paso. He also took unreported, large cash distributions into the United States. This was not how to protect oneself within a trust. No matter how I might admonish him, I would find, after the fact, Ron paid no attention and threw caution to the winds. I could never tell, through many aspects of Ron’s life, whether he felt invincible or whether he just couldn’t perceive risk/reward exposure. In following the goal of creating an offshore cash-cow for Ron’s future, I had established a corporation and office in Belize that headquartered an online casino. Acquiring the software through professional contacts in Vegas and setting up accounting and payment controls took about a year. Belize was ideal for an online casino because broadband T-1 connections were plentiful and the domain name address would be Belize. Additionally, the major Caribbean undersea fiber line connecting instantaneously to the entire world was within stone’s throw of where I had set up the online casino. In the second year, the casino was cash-flowing twenty – five – thousand dollars per month with hardly any overhead. To diversify the activities and income of the trust, I retained a CPA and Hong Kong attorneys to establish a Hong Kong trade Corporation with an office in Shenzhen, China. The trade companies served multiple full purposes because of the myriad opportunities in China. 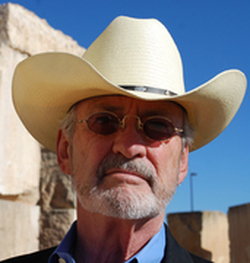 Its primary purpose was to protect importations of artworks, sculptures, and furnishings from all the countries Ron had haphazardly imported into the United States.… Although Ron was as tight – lip about those details as he was about most other details, it was pretty clear he was stockpiling a high-end inventory for his post – Jackie future.